Two sports drive the calendar for young Michaela Staats of Upper St. Clair. She plays either basketball or soccer. She's a team player as an aggressive point guard in basketball and a hustling forward in soccer. Competitive and talented, she has opted for team-oriented sports as opposed to more individual sports such as golf, swimming or tennis. She tried karate, briefly, several years ago, but conflicting soccer schedules eventually forced a decision and she chose soccer. "She just has not found any sport that is an individual sport that peaks her interest," said Michaela's father, Ted. "Plus, she really enjoys basketball and soccer. Those are her favorites." All young athletes make choices about how they want to compete, either individually or as part of a team, and their decisions inevitably prompt comparisons or conclusions about them as athletes—and even as people. Still, some experts insist any debate about the pros and cons of individual and team sports boils down to a discussion about personal comfort levels. Those experts believe there may be more similarities than differences in what youth sports mean for those who play either individually or on a team. "In terms of selecting a sport, kids will gravitate toward the need to be in a team or they'll want to be more self-focused," said Paul Friday, chief of clinical psychology at UPMC Shadyside. 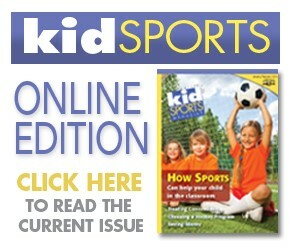 "All kids are different, and parents obviously play a huge role in what sports children select. "When you're talking about the benefits or impact of a sport, you also have to keep in mind all the other factors. Everything from the number of siblings they have to the pressure to perform and even the social atmosphere of an activity shape a sport's impact. In the end, the overriding factor for any sport should be that the athlete has fun." Individual and team sports do differ somewhat in what they offer young athletes. Notably, and perhaps obviously, individual sports provide a greater chance to focus on the development of individual skills and even on self-esteem. "In an individual sport, it's easier to connect with your own mastery," said Doug Coatsworth, as assistant professor of human development at Penn State. "You're valuing yourself based on your performance against someone else. It's a very direct comparison." Individual sports such as golf, swimming and track allow competitors to measure themselves against other competitors as well as themselves. They can lower their golf score from one round to the next or shave seconds off their time from one competition to another. For young athletes, those forms of tangible success mean a lot. Novices at individual sports often see that improvement with regularity as they gain experience. Such success makes the sport enjoyable and valuable. In team sports, "self" and "me" mean less. Team success, or at least the development of a team-oriented mindset, often trumps any focus on individual standouts. 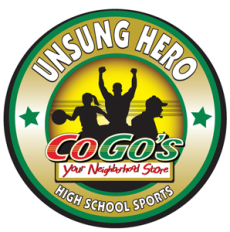 "The issue of team sports is what you learn, that you're a cog in the wheel," Friday added. "Good life lessons can come from that, but that does not mean individual sports cannot provide a grounds to examine those same lessons." Many sports blur the line between individual and team. While young athletes may compete individually in bowling, track, swimming or wrestling, their efforts often serve as one of many performances that comprise a team result. Other sports—baseball, basketball, football, hockey and softball among them—rely on individual efforts as part of a team performance and constitute what people typically consider team sports. They offer lessons such as "win as a team, lose as a team," which focus on overcoming individual mistakes or spinning one person's standout performance as just part of a team effort. "There's a greater sense of belonging and connectedness in a team sport," Coatsworth said. "Good coaches are able to create that context where the team is more important than the individual, and that's a lesson many people believe is valuable." Those positive lessons sometimes may be offset by a group mentality and peer pressure in team sports, though. According to Coatsworth, some evidence indicates participants in team sports may drink more than their counterparts in individual sports. Overall, individual and team sports face some of the same challenges while teaching many similar lessons. For the most part, the choice between an individual or team sport seems to amount to a different means to the same end. For example, youth hockey coach Jeff Hulbert sees hockey as a "community" that welcomes young athletes. "Joining a team allows kids to get involved, to feel like a part of something," Hulbert said. He's the father of two daughters who take dance classes. He thinks they would be interested in playing ice hockey, but they have not expressed an interest in ice skating. "My girls are more team-sports kids," Hulbert continued. "They'd probably play ice hockey if they could, but their mother and I have differing opinions on ice hockey for girls." Proponents of individual sports would cite the ease of involvement for young athletes in their activities, too. While there might not be a whole team that forms a "community," a young athlete can just as easily adapt and make friends in an individual sport as in a team sport. Once established in a sport, growth provides one area where the pros and cons of individual and team sports seem a bit more distinct. In a team sport, a young athlete may move into or out of a specific role on the team as their skills develop or diminish in relation to their peers. When that happens, the athlete must learn to adapt to that different role. They remain a member of the team, though, and the culture of team sports encourages the athlete and his or her teammates to accept and make the most of those changes. In an individual sport, when an athlete faces a similar challenge in terms of lack of development or increased skill among his or her opponents, the change clearly impacts only them. "If the issue is building your own sense of competency, then it's easier to think you're less good or you're a failure because you're not beating those other people," Coatsworth said. "Once you reach a certain point, it becomes a lot harder for coaches, parents and even the athletes just to focus on individual mastery and their own skill development." Some young athletes stick with only individual or team sports while others try both types of sports. Both Coatsworth and Friday believe a variety of experiences might best serve the young athlete's development as a person. They think overexposure to either approach can come with costs and they stress that a young athlete's development as a person does not rely exclusively on sports. "I don't ever want to be friends with (tennis legend) John McEnroe," Friday said. "I don't want to go to dinner with Terrell Owens either. I don't think it's an individual or group thing that makes you a jerk or not. "The variables are unending, and it's not an individual sport or a team sport that makes you a good person or a bad person."